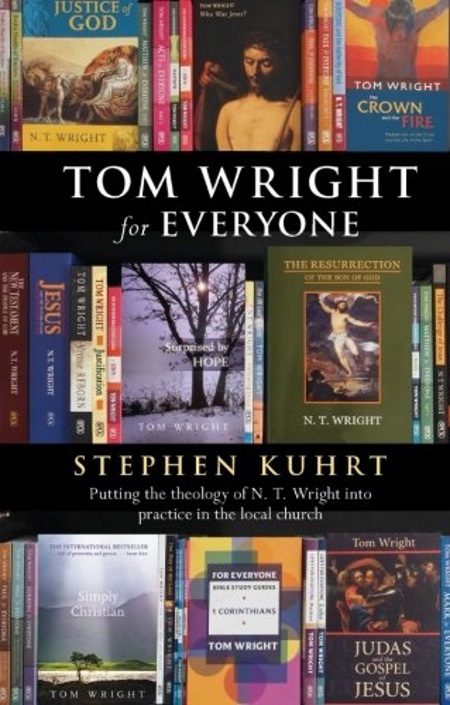 Tom Wright for Everyone addresses the reticence of many evangelicals to engage with what Tom Wright has been saying for some time. The book looks at key theological questions awaiting an answer and gives an enlightening summary of the theology of Tom Wright, arranged around terms like ‚Covenant‘ ‚Heaven‘ ‚Kingdom‘ ‚The resurrection of Jesus‘ and ‚justification‘ Then, in perhaps the most valuable part of the book, Stephen Kuhrt describes in detail the difference putting Tom Wright’s theology into practice has made in his own parish church, pastorally and in terms of mission. The book ends with a clear statement of Tom Wright’s challenge to the Church in the second decade of the twenty-first century. Eine Rezenssion von Patrik Frank, PhD (Otago) Tabor-Absolvent und Gemeinschaftspastor zu diesem Buch finden Sie hier.